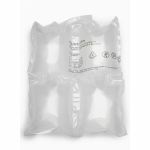 Our Minipak R Machine is the portable and convenient solution for producing pillow packing on demand for your protective packaging and void fill. 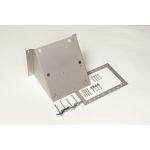 For added flexibility we also supply (available separately) a foot pedal, a mobile air bag storage bin, a wheeled bin which you can attach the machine to, and a spares belt kit. 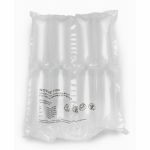 Our user-friendly ‘smart’ air packing machine inflates small rolls of film (sold separately). 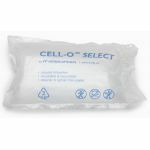 It can automatically make up to 5 different air cushion styles. 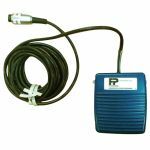 There’s no need for a compressor as the Mini Pak R Machine uses ambient air. You just plug it into a standard socket and load the film. 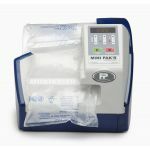 The space-saving features and portability of our Minipak R air cushion packaging machine, combined with the easy-to-store rolls of film it inflates, makes it the ideal void fill and cushioning system. 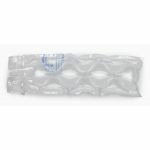 Pillow packing is the innovative, reliable and above all lightweight alternative to traditional protective packaging. This convenient and 'smart' air pillow machine produces on demand up to 7.6 metres (25 feet) of air cushions per minute without the need for a compressor. We offer a range of Minipak R accessories (sold separately) that make the system even more versatile and adaptable to different environments. A foot pedal allows you hands-free operation, and a simple wheeled bin makes it easy to carry the air cushions where needed. 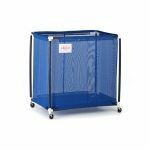 We also offer a specially designed wheeled cart/storage bin on which you can attach the machine so that you can use the system at various packing stations without taking up space on the packing table. 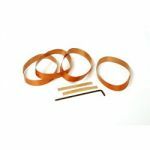 A replacement belt kit is also available. 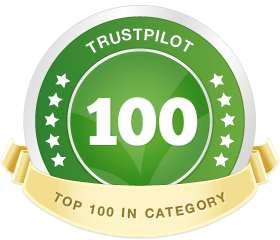 At the touch of a button it can produce 5 different air cushions that are excellent for most shipping needs. 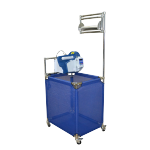 Easy to set up and use, our durable Minipak R Machine requires virtually no maintenance. 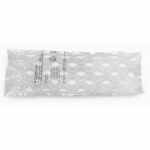 It eliminates the need for storage of bulky material and is ideal whether you have a busy packing station or dispatch just a few parcels a day.